A NEW ROMANTIC COMEDY SERIES FROM THE INTERNATIONALLY BESTSELLING AUTHOR OF GEEK GIRL. HOLLY SMALE wanted to write from the age of five when she discovered that books didn't grow on trees like apples. Her passion for stories led her on a number of adventures, including modelling, teaching children in Japan, PR and backpacking across dozens of countries around the world. She has a degree in English literature and an MA in Shakespeare and Feminism from Bristol University. The Valentines series is the blockbusting follow-up to the number-one, internationally bestselling and acclaimed Geek Girl series, which sold over three million copies in thirty languages and won the Teen and Young Adult category of the Waterstones Children's Book Prize. 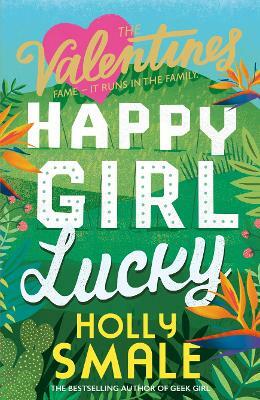 Happy Girl Lucky is the first in a brand-new series that follows the famous Valentine sisters.